Channel letters are custom-made metal or acrylic letters that are used for signs. They are lit up and visible at night, even from far away. They are the first choice of companies and businesses who want to stand out and make sure their brand is advertised with distinction. Using Channel Letter Signs is one of the most cost-effective ways to market your brand. 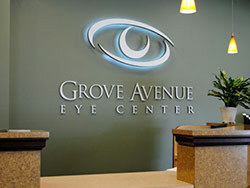 You will be able to attract more customers to your business with a beautiful channel letter sign. It is a common goal among the businesses to keep their costs down. Since channel letters are not very expensive and more importantly, they act as a one-time investment, this is the perfect opportunity to save some money. You can browse through many options from ready-made simple, plain letters to LED ones and personalized designs. Check out our gallery here. These channel letters are also environmentally friendly. If you are looking to support the Go Green initiative, this is one way to do so. To start with, they use LED lights. Since LED lights don’t contain mercury or lead, this is a green option. While fluorescent and neon lights increase the attractiveness, they don’t really help the environment. Using LED lights will help you receive permits more easily because of their environment-friendly nature. Last but not the least, channel letters can give your brand image a huge boost. They talk about the business’s vision and attitude. These signs convey the brand’s image – playful, inviting, fancy, or friendly. These can also be customized to reflect the brand in the best manner possible. While it costs reasonable money at the time of installation, it does not require anything more in the long run. Our Team at Dave’s Signs would love to help you out with any of your channel letter signage requirements. Make sure out our other channel letter signs in our gallery here.